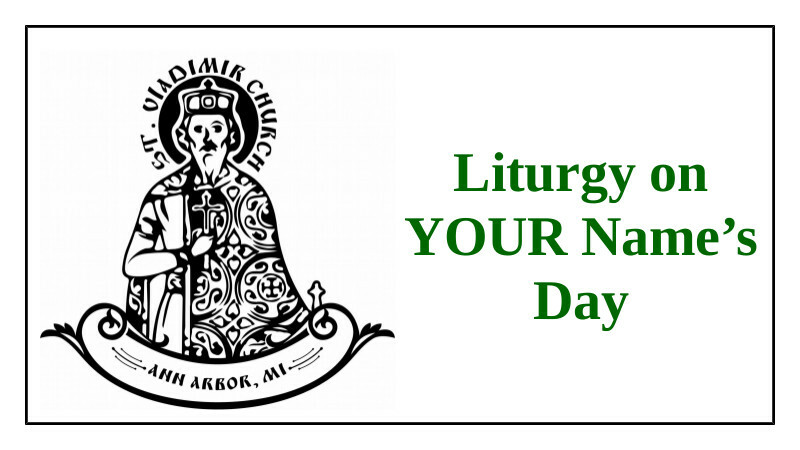 St. Vladimir Orthodox Church, Ann Arbor, MI - Liturgy on your Name's Day? Liturgy on your Name's Day? It is a true blessing to have the opportunity to partake of Holy Communion on one's patron saint's day. Fr. Gregory is willing to consider serving Liturgy on your name's day – yes YOURS. If you would be willing to attend the Divine Services on the eve of the feast and on the feast itself, and to partake of Holy Communion on that day please contact him. This is not a guarantee that we can do this – but we can certainly try. But please don't tell him a week before. Something like six months before would be better – three months before as a minimum. See Fr. Gregory with questions or email ogrisha@stvladimiraami.org!